History was made at The University of Toledo Thursday as the Board of Trustees unanimously voted to name Dr. Sharon Gaber UT’s 17th president. “The University of Toledo is one of the most important institutions in the region and in Sharon Gaber, we have a president who can provide transformational leadership at a University deeply interwoven in the communities we serve,” said Board Chairman Joseph Zerbey. “Whether the topic is student recruitment and retention, external research funding, improved student graduation rates, or raising philanthropic support, not only does Dr. Gaber have experience, she has achieved incredible results,” Zerbey added. • A reclassification by the Carnegie Foundation of the University of Arkansas to a Very High Research institution, a reflection of more than $120 million in external research expenditures in 2014. Zerbey said a timeline for a transition will be established in the coming weeks. Gaber will be the first woman to serve as UT’s president. UT’s 16th president, Dr. Lloyd Jacobs, led the University for eight years and previously had served as president of the former Medical College of Ohio before the 2006 merger with UT. Dr. Nagi Naganathan, dean of the UT College of Engineering, has been serving as interim president since July 1. “I want to thank Dr. Naganathan for his service as interim president during the last year and for three decades as a teacher of our students, a mentor of our faculty, and as a leader at this University,” Zerbey said. In addition to her work since 2009 as provost and vice chancellor for academic affairs at the University of Arkansas, Gaber serves as an officer on the board of directors for the 366-bed Washington Regional Medical Center in Fayetteville. She also is a corporate board member of the Simmons First National Corp. and is vice chair of the Arkansas Research and Technology Park. She came to the University of Arkansas, where she also is professor of sociology, from Auburn University, where she served as interim provost. Prior to that, Gaber served Auburn as senior associate provost and associate provost for academic administration. She began her time at Auburn as associate dean in the College of Architecture, Design and Construction. Before her time at Auburn, she was a faculty member at the University of Nebraska-Lincoln. She served as department chair, graduate officer and held the A. Leicester Hyde endowed professorship. Gaber holds a PhD of city and regional planning from Cornell University, a master of planning from the University of Southern California, and bachelor’s degrees in economics and urban studies from Occidental College. Her research interests are in community needs assessment of marginalized populations and planning methods. 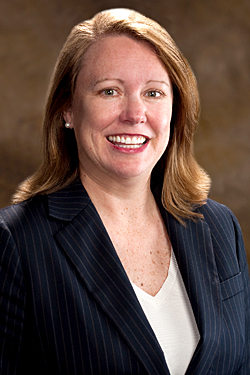 She has served on the National Association of Collegiate Schools of Planning Governing Board, and was awarded the 2006 State of Alabama Outstanding Professional Planner of the Year and the 2009 Auburn University Women of Distinction Faculty Award. This entry was posted on Thursday, March 12th, 2015 at 12:27 pm and is filed under News, PresidentialSearch . Congratulation Dr. Gaber May God Bless you. Congratulations , Welcome . The students and faculty at The University of Toledo are excited and looking forward to sharing your professional energy as we embark on the continued path to national recognition for academic excellence.